I am fortunate in that it’s not often I get the rain gear out of my pack, but when I do…it all needs to come together quickly! 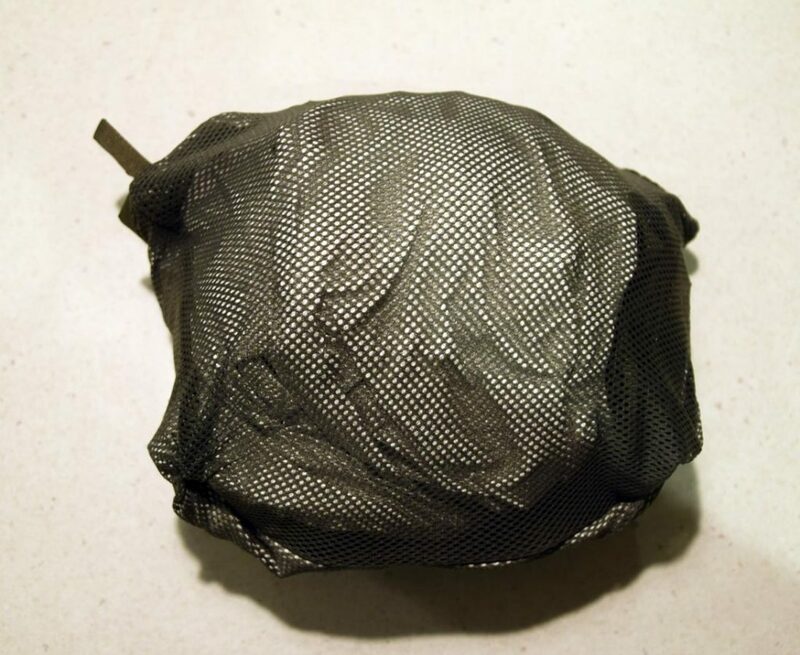 For some years, I had been lugging a full-on Gore-Tex rain jacket, have barely used it and when I did, hated the scratching noise I made when I moved! And to top it all, it was heavy and bulky. 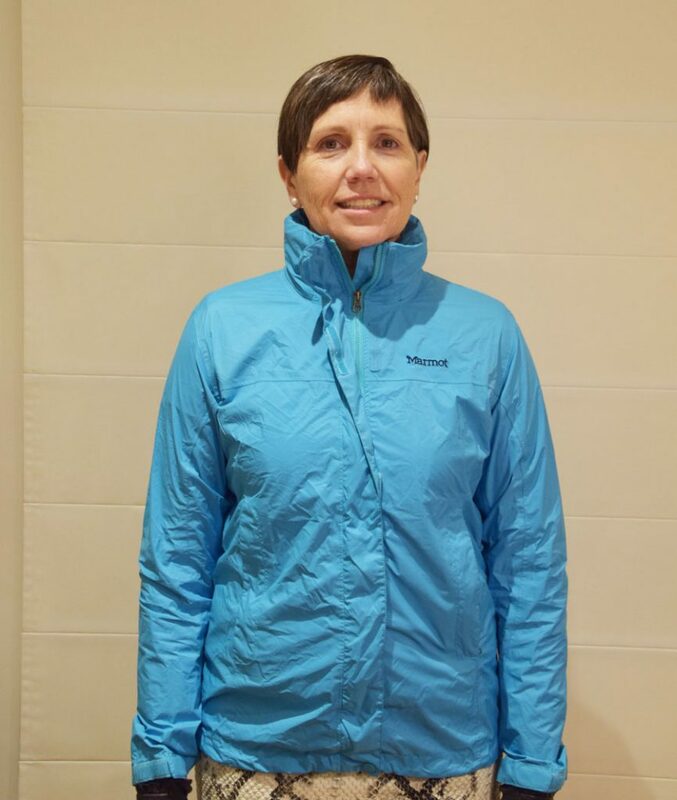 In our move to lighter weight hiking, I discovered the Marmot Women’s PreCip Nano Jacket. And in true lighter weight hiker mode – it satisfies more than one need. 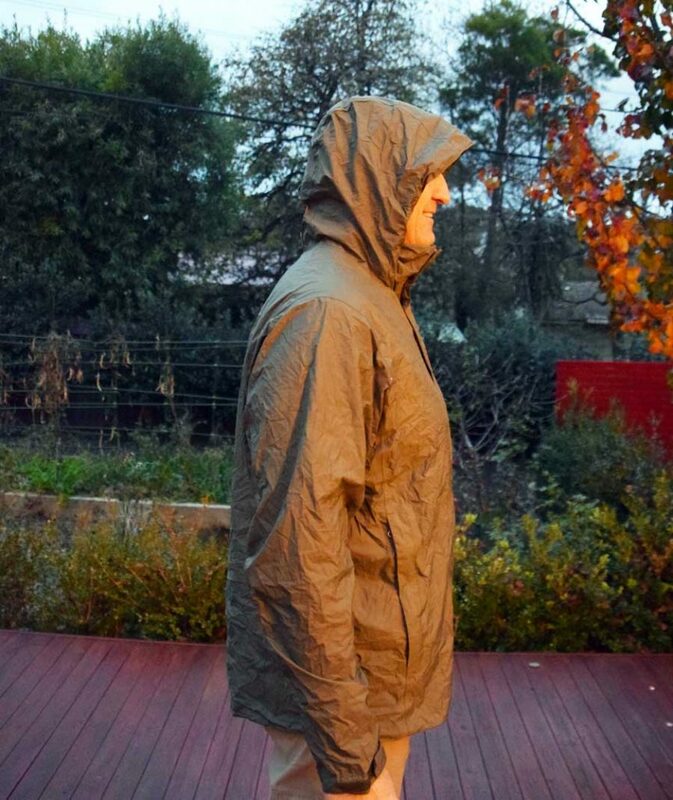 It is a rain jacket which is obvious, a wind break – also obvious – and it’s also my top thermal layer for when it’s cold. The PreCip is soft enough that it feels good over a T-shirt. The fit is generous enough to wear over a lightweight down jacket and still not make you feel like you’re wearing an oversized (noisy) plastic bag! 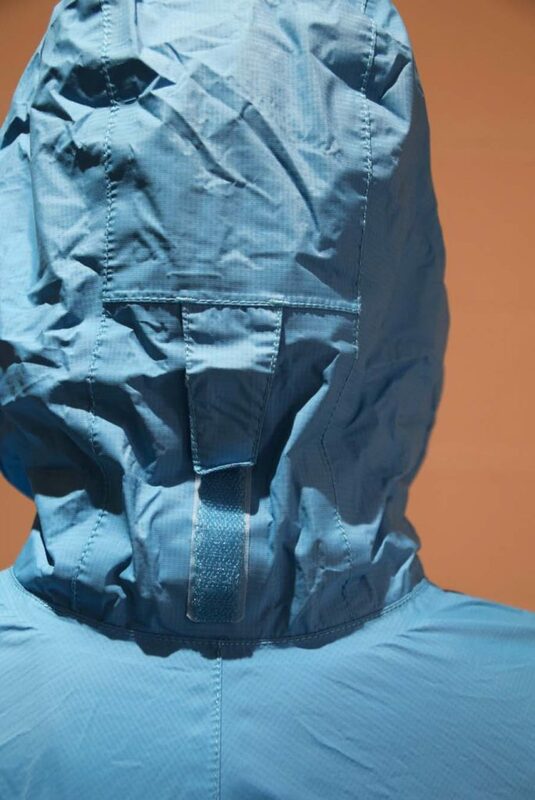 The lined chin guard adds to the comfort and the underarm zips (PitZips) mean that you can adjust the ventilation to match the weather conditions and the activity you’re undertaking. Like any rain jacket, I find I am much more comfortable when wearing the jacket over long sleeves – if the weather is warm and wet, then a lightweight long sleeve T-shirt is best as it will soak up the moisture. The hood folds into the collar but I do find I spend a little more time on this to ensure that it is neat and comfortable around the neck. The hood works well if you wear a peaked cap underneath otherwise you’re likely to get rain dripping down your face! 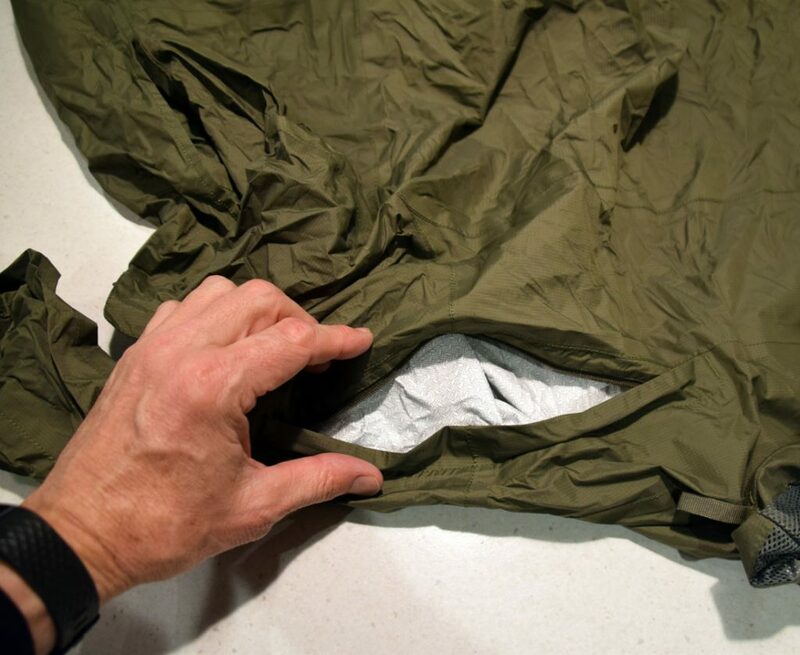 The jacket squashes into its own pocket the size of which doesn’t seem to change with the jacket sizes and for the small and extra small size, this means it’s not as compact as perhaps it could be if the pocket was slightly smaller. I have worn this jacket in heavy and long downpours – the jacket did well for most of the time but then seemed to surrender to the onslaught and I started to become increasingly wetter underneath – and this wasn’t because of the sweat I was generating to get myself to the next camp site! On that occasion and given the slippery terrain – we were heading to Pine Valley on the Overland Track in Tasmania, Australia – I was also using my hiking poles which was a BIG mistake! My problem was that I couldn’t get a decent seal around my wrists and every horizontal movement of my arms would splash water up my arms. The Marmot PreCip Nano does have adjustable Velcro cuffs but they don’t give the kind of seal you need for heavy rain. The only position in which splashing didn’t occur was where my arms were straight at my sides. Now this could be a result of my not thinking all this through sufficiently before getting started – it was pouring from our first step to our last – but I do think different wrist seals would improve the experience. For some reason, Australia is also colour deprived! Online at Marmot in the US, I see a myriad of colours and when I look at websites in Oz there are only three. If you then visit a store you will find maybe two colours available. Last year when I bought my PreCip, the store only had Paradise – that is code for light blue! On checking before writing this article, the current colours in Oz stores and online are Deep Plum, Platinum and Black despite my counting 24 colour options available overseas! There are lots of techy features to this jacket that mean it is a great choice for most rain and wind conditions. However, it’s not designed for very cold or very heavy rain. It is marketed at ‘backcountry hikers and urban travellers’ and suits this market well. The price is around $179.50 to $199.95 but mine was heavily discounted which may also explain why ‘Paradise’ was the only colour choice!